As one of the fastest-growing social media platform – the like button is hit roughly around 4.2 billion times a day -, Instagram takes its time to come with engaging and entertaining updates for its users. Therefore, the platform rolls out new features and updates almost every single month, making sure that they provide their users with enough means of interaction and with the ability to discover new Instagrammers through various means. So, in today’s article, we’ll take a look at the top Instagram updates that you need to know in 2019 – you might want to pair the use of these updates with your favorite Instagram hashtags, especially if you want to increase your follower and likes count. IGTV – or Instagram TV – is a standalone app that allows its users to upload lengthy, vertical video content. Initially, you would be notified when someone you followed had shared new content on IGTV. However, this feature was taken a step further, now allowing its users to share previews of their videos on IGTV in Instagram’s main news feed. Naturally, as Instagram enjoys higher viewing and engagement rate, this update helps drive more relevant traffic between the apps, as you have to switch to IGTV to watch the rest of the video. It also helps with Instagram automation. In short, you can share a one-minute preview of your IGTV video on Instagram and, when your followers watch it, they’ll have a “Watch Full Video” button, which will take them to the full-length video. Basically, this feature allows you to turn some of the people you follow – friends, in general -, into close friends, giving you the opportunity to share content with them only. This makes it easier for you to post content on your profile that only certain people can see – stories for example, as well as inside jokes that you might not want to share with everyone else that follows you. You may have noticed the new shoppable posts and stories that come up in your Instagram feed. However, you can’t only view them, as you can also save certain products to look at later and maybe even buy them. All you have to do is tap on a product tag – within stories or posts -, and then you’ll see the option to save the product, not only the post. Basically, you’ll now have a virtual shopping/ wish-list within Instagram as well, making it easier for you to track and find the products you want to buy. Reportedly, Instagram is developing a Donation sticker, that will help users start fundraisers for non-profit organizations and so on. You will be able to place such a sticker on one of your posts, by choosing a certain non-profit or choosing from the ones you already follow. This makes it easier for brands that are involved in charity to increase awareness over their cause and such, without having to put a donation link or such in their description, a link that might be ignored. If you are currently using Instagram Live to ensure your audience stays engaged, you might want to look up the new title option. At this point, Instagram is testing out new features – and one of them is adding a title to the live video. These titles can prove to be a fairly valuable asset. Most of the time, when users come into a live, they exit fairly soon mostly because they are confused and not completely certain what that live is all about. This way, they will know exactly what to expect – and will stick around for more. As mentioned, this update is still being tested – but since it will likely come up shortly, it is worth keeping an eye on it. For some people this feature has already become a “usual;” however, at this point, it is still being tested. Up until this point, we would be scrolling downward to go from post to post – like we do on Facebook. However, Instagram is testing a new scrolling side – one that is more similar to the Stories feature. Long story short, instead of scrolling downward, you will be side-scrolling – or swiping, as most people call it. While some people appreciate the fact that they can see each post much easily, some people might be less willing to see just one post at a time. That being set, this update may allow the followers to become more engaged with each post. Right now, users could only send text messages and attachment through DMs – but did not have an option for directly recording and sending a voice message. This feature has been tested starting with the beginning of the year – and now it was made official. Now, with this update, a voice message can be sent in one on one chats – but also in group chats. They do have a limit (one minute long), but it is still long enough so that you will not have to deal with typing when it’s not convenient. Plus, unlike other Instagram direct messages, these voice messages will not disappear. That being said, this feature is still under development. Over time, it may develop into something even more meaningful. Some time ago, Twitter forbade this exact action from occurring on their platform – but Instagram made it happen on their platform. Over the past few months, they have been working on a feature that allows its users – including those that have personal accounts – to share the same post over more of their linked accounts. This feature is only possible for posts appearing in the feed – so you won’t be able to do that with Stories (yet). Technically speaking, it is a great idea to create unique content for each account. However, if you have a post on your personal account that would work just as well for your business account, then this feature might save you a lot of trouble. This also applies to companies that have separate men’s and women’s accounts – and you wish to share on them a unisex product that would benefit both of them. 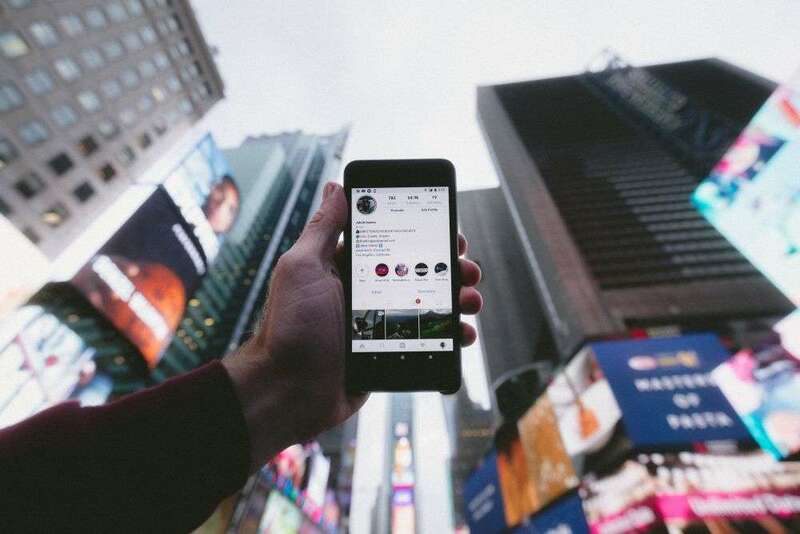 These were some of the top features of Instagram that you need to know in 2019. Naturally, we didn’t cover all of them – such as the removal of self-harm images or the one that talks about the integration of all the Direct Messaging apps that we know into a single app. Also, if you want to grow on Instagram, remember to check out this popular Instagram bot that will help you stay active 24/7 and increase your engagement rate with your audience and not only. See also: How To Get Followers On Instagram? When he's not on a fishing trip, Tiberiu Iavorenciuc is working passionately on growing his two businesses, TypingPandas and EasyLinkStudio. He has been growing his two "babies" for more than five years now and hopes that one day he will be taken at least one of them to the Fortune 500 list.